iFactory completed Discovery, Information Architecture, Content Strategy, Visual Design, and HTML front-end development with the UAH team. The site was built in Joomla, an open source CMS, and the back-end was developed by UAH. 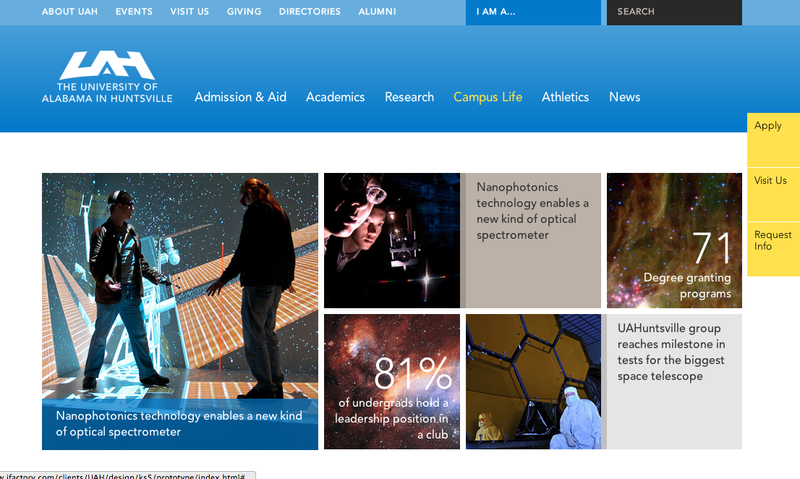 iFactory designed the University of Alabama in Huntsville public website. Contact iFactory to learn how we can help your organization expand its web presence and grow its digital footprint.